Drs. 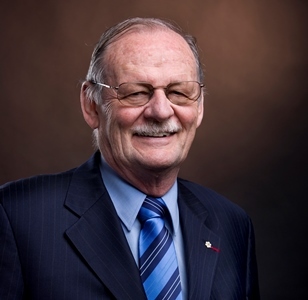 Michel Chrétien (OHRI Emeritus Scientist), Majambu Mbikay and colleagues from the National Microbiology Laboratory in Winnipeg have found a compound that can protect mice from the Ebola virus, even when given as little as 30 minutes before infection. While the 2014-2015 West African epidemic that killed over 11,000 people is now under control, smaller Ebola outbreaks are frequent and continue to happen. In addition, the vaccines currently undergoing clinical trials are designed to fight the virus behind the West African outbreak, but are not being tested against the three other Ebola species that can cause disease in humans. Drs. Chrétien, Mbikay and colleagues found a compound called quercetin-3 β-O-D-glucoside that targets the early stages of infection, and was effective against two different Ebola virus species. This proof-of-concept study, published in Antimicrobial Agents and Chemotherapy, could potentially lead to a flexible preventative treatment against Ebola.